The deadline for submitting the 2015 tax return was 31st January 2016, unfortunately there is already a £100 fine for missing this date. 1) Interest will now be running on any overdue tax that should have been paid by 31st January 2016 – without a tax return, you won’t know what this figure is. 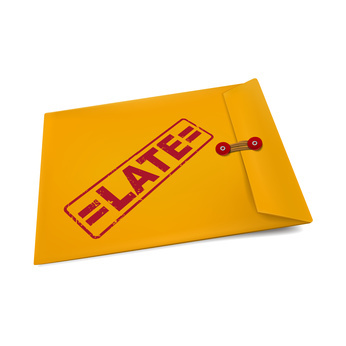 2) There could be payments on account due for 2015/16, with the first one payable by 31st January 2016 – again, you won’t know about this unless you have prepared the tax return. 3) Should the tax payment(s) still be outstanding at the end of February then an automatic 5% penalty will be charged, on top of the interest that is already building up. 4) If you let things slide until May, then HMRC will start charging you a £10 per day fine for the next 90 days – it is important to remember that this fine is for the tax return and is unconnected to your tax liability. So you could have the situation where you would have been due a refund, but instead it has all gone on HMRC fines, and you even end up owing them money. 6) After 12 months a further minimum £300/5% fine is applied, although you may find that the debt has been outsourced to their collection agency and they could have paid you a visit before then. In many cases the cost of getting help with your tax is less than the fines for avoiding things, so getting help can actually save you money. For the self-employed accountancy fees are also a qualifying business expense.